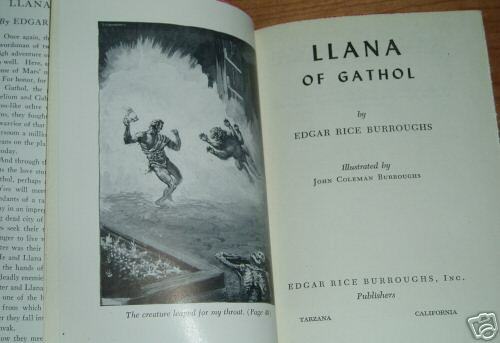 Llana of Gathol, Edgar Rice Burroughs, 1948. 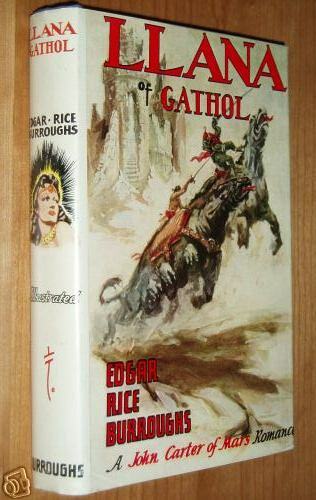 Hardcover first edition with original dust jacket. 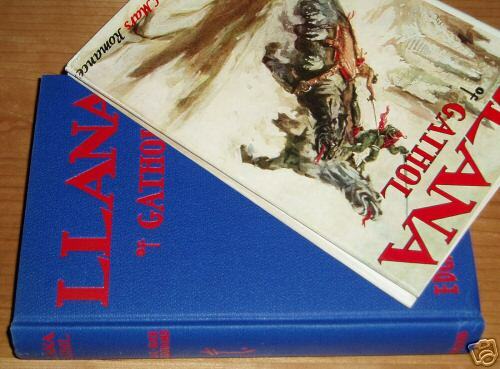 Book and dust jacket are in near-perfect conditon. Tight binding, crisp pages. Appears to have never been read. 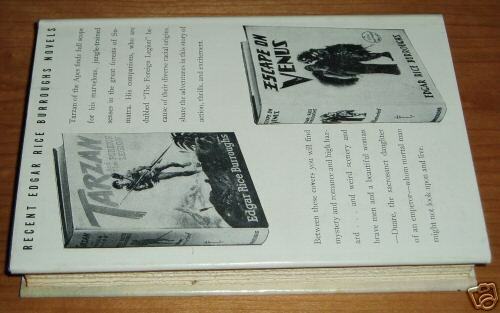 An extraordinary copy for the discriminating collector.